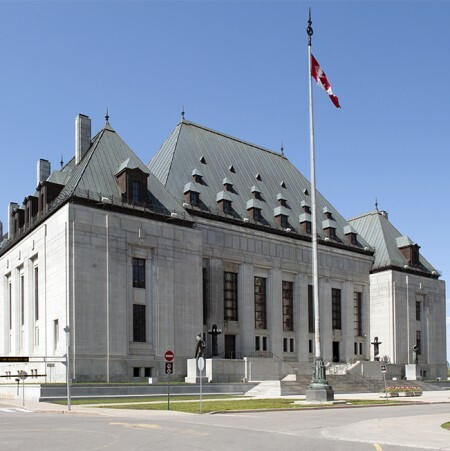 OTTAWA, ON – In a unanimous decision issued this morning, the Supreme Court of Canada ruled that laws restricting the transportation of alcohol across provincial borders are not unconstitutional, and will be upheld. The case stems by an incident in 2012 when New Brunswick resident Gerard Comeau was stopped at the N.B.-Quebec border by RCMP officers and fined for having 14 cases of beer and 3 bottles of liquor that he had purchased in Quebec. This amount contravened New Brunswick’s Liquor Control Act which states that residents are limited to bringing a maximum of 12 pints of beer or one bottle of wine or spirits back into the province. The full ruling is available online now, with a plain language summary to be posted later today.